Planning an engagement party is a bit like planning a wedding. 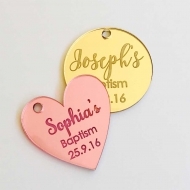 Our range of custom and personalised engagement supplies for sale online in Australia. Order engagement supplies including banners and decorations below. If you buy online, we deliver from within Australia. 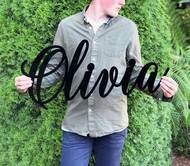 All engagement parties start with a guest list, a party venue, and then engagement party invitations. In this case, they are sometimes more like announcements. Once the invitations have gone out however there is usually a bit more planning to do before the celebration. A lot of this hinges on the type of event you have planned to hold. If it is a friendly dinner at a restaurant for example, the planning will be a bit easier than a large party where extended family and friends are invited. Our website is chock full of good ideas for an engagement party. As we specialise in personalised products and custom party supplies, there is bound to be something for almost everyone. Lets start by looking at the type of party. These parties have a different feel to birthdays, for example. A good idea is a large custom party welcome banner. A candy buffet too is often well received by guests. Cap this off with some themed candies and decorations and you are well on the way to holding a special event indeed.